Although not a century fighter, the B-58 bomber is an interesting design of a delta bomber of the similar period as the century series. 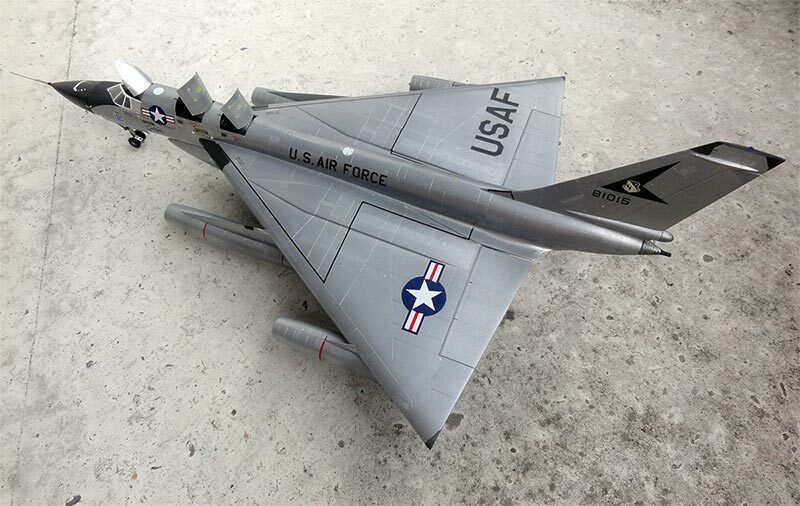 Developed by Convair also in the cold war era; it was designed to have a strategic bomber next to the B-52. 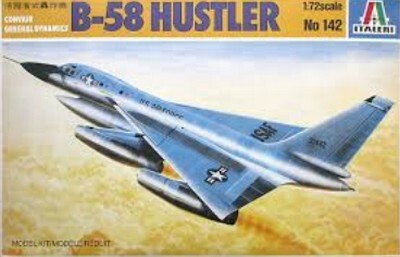 The 1/72 model is from Italeri #148 released in 1984. The kit is all right, but needs some refining. The cockpit interiors are there, but need refining. The instrument panels are a bit simplistic and the cockpits will benefit from some reworking. The panellines are a bit deep and the assembly of the engine pods is rather simple with straight intakes. However, a nice model can be made. The undercarriage is very subtle and is easily broken. Adding some strength here will prevent damage in the future. 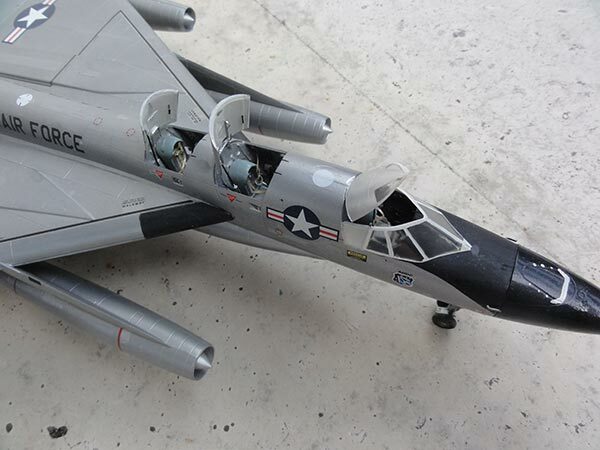 The kit features also a nice big under-fuselage pod carrying the nuclear or conventional ordnance, typical of the B-58, named unofficially Hustler. I did not fit this pod though. The kit was finished in bare metal. I airbrushed several coats of Testor metallizer. Make sure to polish the model before adding the metal colours! The decals are used as supplied with the kit. The model was sealed with Johnson clear varnish. The cockpit hatches were set installed open and the cockpit windows frames painted white and set in place. 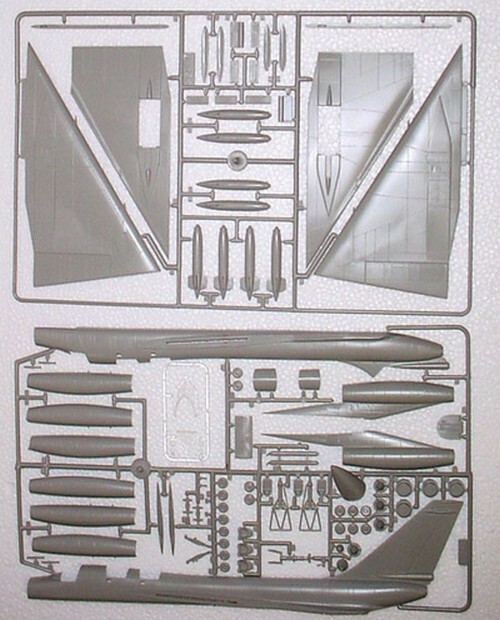 Tip: Italeri also issued another B-58 kit as representing the trainer variant, kit #147, the TB-58A Boomerang.